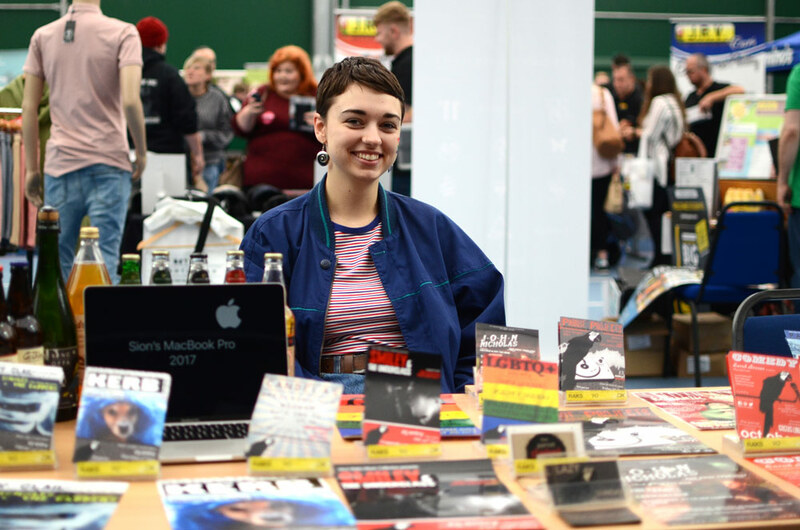 Freshers’ Fair is the first major student event of the year. The Fairs welcome the new freshers, each one is located in areas with high footfall. And It‘s even open to all UWTSD students. Swansea, Carmarthen and Lampeter campuses each have their own Freshers’ Fair. These one day events run from 10am - 2pm and offer premium and standard stalls. It’s a great opportunity to have an engaging face-to-face conversation with the students and to promote your business. 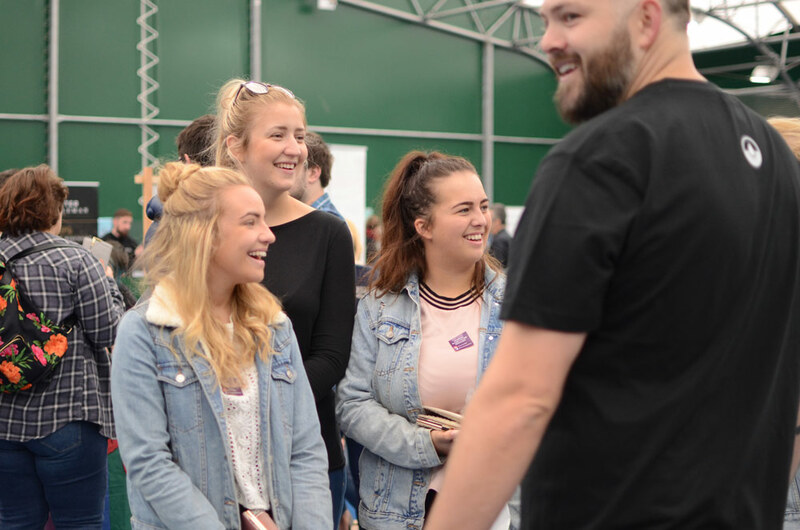 Our annual Freshers’ Handbook gives new students a great insight into the student life of Swansea, Carmarthen & Lampeter. We’re keen on working with interesting, independent and up and coming businesses. 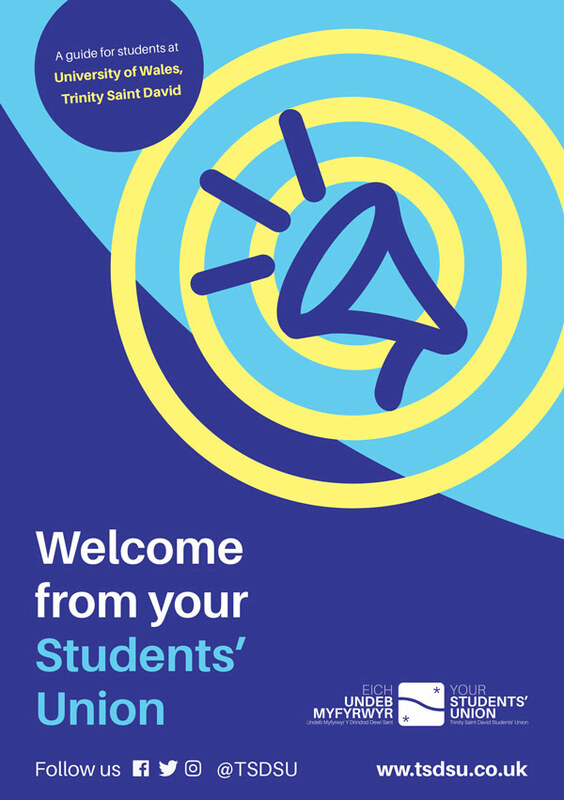 We want to help you engage and reach our new students. We offer a range of adverts. 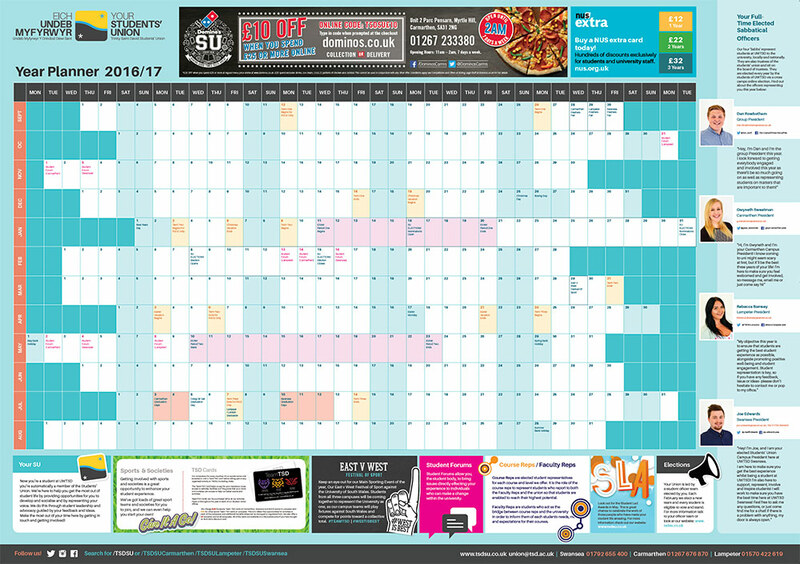 The Student Calendar is an academic calendar we hand out to students at the start of term. It lists every event we think students need to know about during the year. We have space for businesses to place adverts on the calendar. Have an event to promote? We can pre-fill dates with your event details. Meeting students face to face can be a great way to build a relationship with them. You can book a day that suits you, and come in and promote yourself, talk to students, hand out flyers and run events. You can set up a stall on your chosen campus. You’ll receive a dedicated area, power supply and wi-fi access. 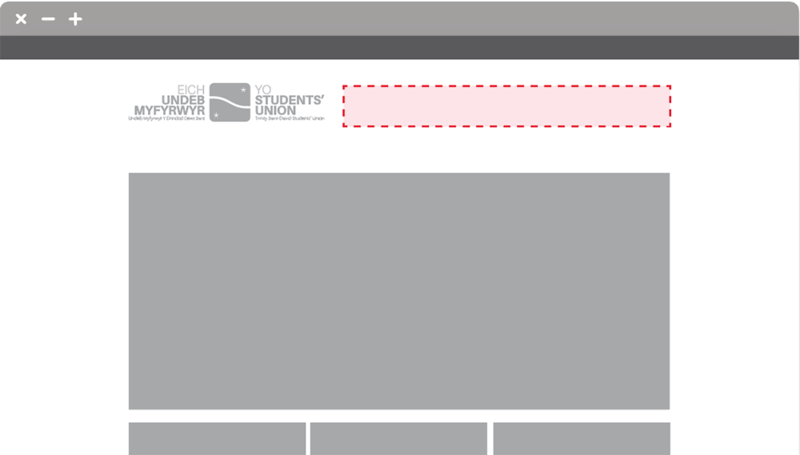 TSDSU.CO.UK is the SU’s digital hub and one of the first places our students visit to find out what‘s going on. A website banner advert is an affordable way to promote your business. If you want to discuss your options or have any questions, please feel free to get in touch.